The sun is shining and you make a last-minute decision to head off with your tent. With planning time at a minimum, simplicity is key, so what you need are recipes that have a short list of ingredients which you may already have at home, or which are easy to find in a local shop. 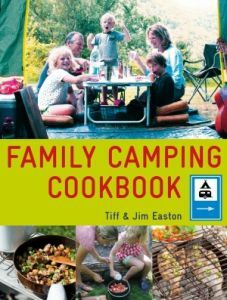 Even on an impromptu weekend camping trip without much preparation or equipment, there is lots here for children to get involved in and enjoy. 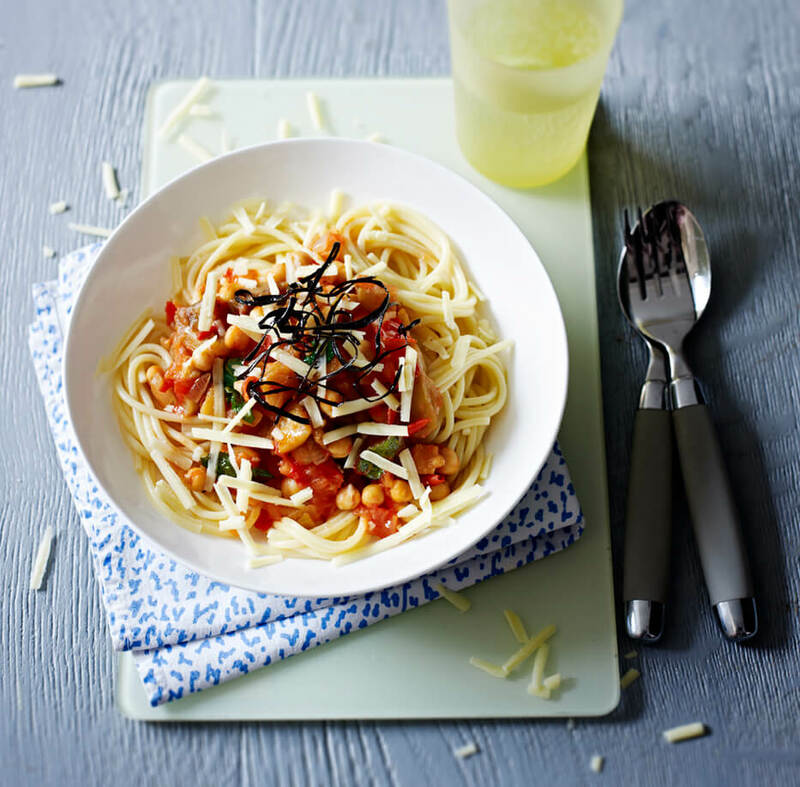 We love this served with noodles and Chinese chilli sauce. If you can cook the salmon in the embers of an open fire, you’ll get an added charred dimension. Ingredients: Salmon steaks or 4 boneless, skinless salmon fillets; 4 tsp suflower oil; 4 tbsp soy sauce, plus extra to serve; 2.5cm/1in piece of root ginger, peeled and finely chopped; 4 pak choi, stems sliced and leaves left whole or 1 broccoli head, cut into florets; cooked noodles or rice, to serve; lime wedges, to serve; chilli sauce, to serve. 1. 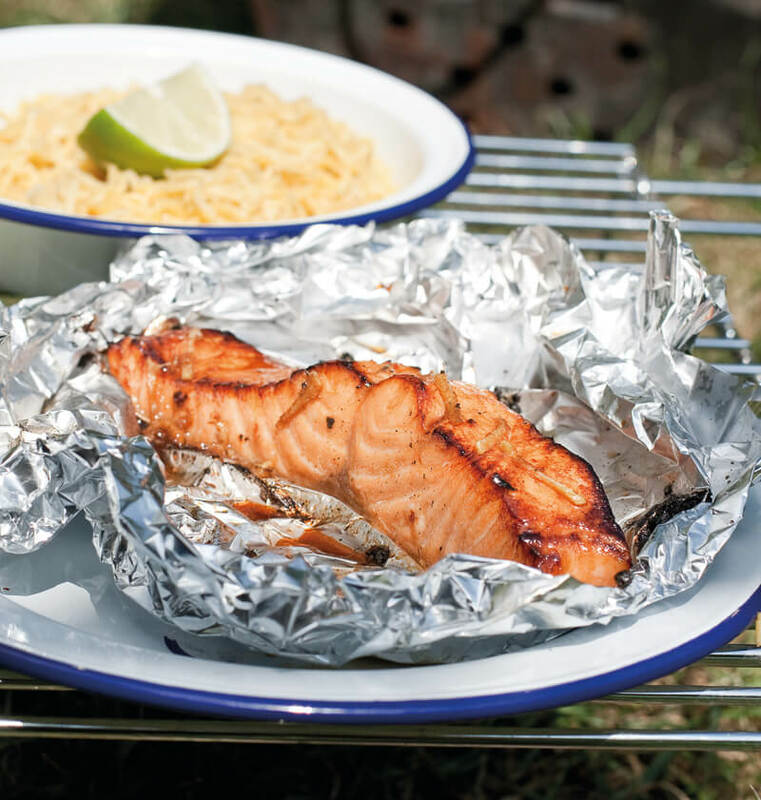 Cut four rectangles of foil, each large enough to enclose a salmon steak. Scrunch up the edges of each rectangle, then spoon 1 teaspoon of the oil into each one and top with a salmon steak. 2. Sprinkle each salmon steak with 1 tablespoon of the soy sauce and one-quarter of the ginger. Pull up the foil to enclose, tightly sealing the seams of the salmon parcels to prevent them from leaking. 3. Cook over a low heat on a barbecue or in a griddle pan for about 10 minutes until the salmon is opaque and just cooked. For a real taste of the outdoors, cook the parcels in the glowing embers of an open fire. Remember to move the parcels from time to time to allow the salmon steaks to cook evenly. 4. Meanwhile, bring a saucepan of lightly salted water to the boil and add the pak choi. Blanch for about 3–5 minutes until the pak choi is tender but still retains a slight crunch. Unwrap the salmon parcels and serve hot with the blanched pak choi, noodles, lime wedges, soy sauce and chilli sauce. Stir-fries are always fantastic first-night meals as they are quick and easy to prepare in one pan. This one is no exception. The broccoli in the recipe can be substituted with French beans or any combination of mixed vegetables. Ingredients: 2 tbsp sunflower oil; 1 broccoli head, cut into small florets; 2 garlic cloves, finely chopped; 5cm/2in piece of root ginger, peeled and finely chopped; 4 spring onions, sliced; 1 tbsp soy sauce, plus extra to taste; 200g/7oz/scant 1¹/³ cups cashew nuts; 450g/1lb fresh noodles; chilli sauce, to serve. 1. Heat the oil in a large frying pan over a high heat. Add the broccoli and stir-fry, stirring frequently, for 1 minute. 2 Add the garlic, ginger, spring onions, soy sauce and 4 tablespoons water and stir-fry for another 3 minutes until the broccoli is just tender, adding a little more water if needed. Add the cashew nuts and stir-fry for another 1 minute. 3 Add the noodles and stir-fry for about 2–3 minutes until the noodles are cooked. Taste and add more soy sauce, if you like. Serve immediately with chilli sauce. Put this on the barbecue to cook just before you sit down to eat your dinner. The longer it has to cook, the more caramelized your pineapple will become. For an extra dimension, add a splash of rum to the butter. Ingredients: pineapple; 55g/2oz butter; 2 tbsp sugar, any variety. 1. If using wooden skewers, soak them in cold water for at least 30 minutes before grilling. 2. using a sharp knife, cut the pineapple, including the green top, into quarters lengthways. Cut between the flesh and the skin to release the flesh, but keep the skin in place. 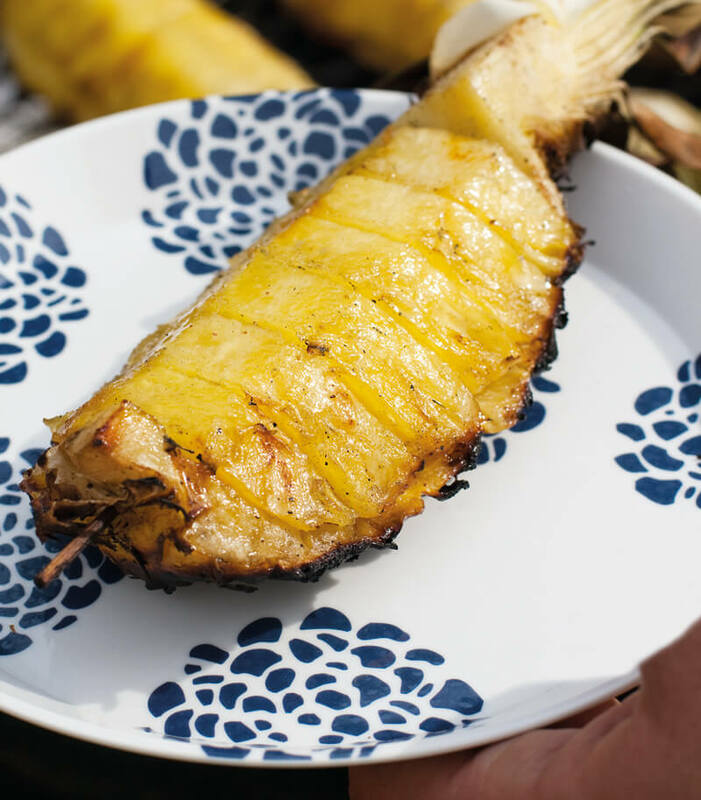 Slice the flesh on each pineapple quarter into chunks and push a long skewer lengthways through each wedge and into the skin to hold the flesh in place during cooking. 3. Heat the butter in a saucepan over a low heat until melted. Remove from the heat, add the sugar and mix. Brush the butter mixture over the pineapple quarters. 4. Cook, skin-side down, over a high heat on a barbecue or in a griddle pan for about 20 minutes until golden brown and soft. Serve warm. Bronchitis is inflammation of the lining of the bronchial tubes in the lungs. The acute form of bronchitis is usually caused by a viral or bacterial infection and often follows a bout of cold or influenza. The symptoms are cough (initially harsh and dry, later with yellow or green sputum), shortness of breath and fever. Chronic bronchitis causes persistent or recurrent cough and breathing difficulties and is most common in people with lowered immune function, particularly smokers, drug and alcohol abusers, patients taking immuno-suppressive drugs and those suffering immunodeficiency disorders and cancer. Chronic bronchitis goes hand in hand with structural damage within the lungs called emphysema, which decreases the amount of lung tissue available to absorb oxygen and get rid of carbon dioxide and other waste products. The lungs also develop a rough, thickened lining making breathing very difficult. The most important step you can take to avoid chronic bronchitis is to quit smoking – or not start in the first place! Keep your weight within optimum limits and eat plenty of foods rich in vitamins A and C, and bioflavonoids and zinc to enhance your immune function. Avoid noxious fumes and immunosuppressive drugs wherever possible, and breathe fresh air every day. Avoid eating dairy products, which encourage the production of excess mucus. Drink large amounts of fluid (water, herbal tea, juice, soup), and drink juices rich in vitamin C – the immune system needs a lot of this nutrient when fighting infection. Garlic, onion and leek have natural antibacterial properties and help avoid the development of complications such as pneumonia. Limit your sugar consumption, particularly added sugar, sweets, fizzy drinks and concentrated fruit juices, and cut out dairy products altogether. Try to avoid suppressing the cough. Herbal expectorants make the cough more ‘productive’ and make it easier to get rid of excess mucus from the airways. Rest is important but avoid lying flat in bed, which may make breathing more difficult and exacerbate the cough. Use extra pillows or a bolster to prop up your head and upper body. Place the herbs in a warmed teapot. Add the boiling water, cover and leave to infuse for 10 minutes. Pour into a mug, add honey and lemon juice, and serve. Add 1 tablespoon each of chamomile, thyme, eucalyptus and wild marjoram to 600ml boiling water and infuse for 5 minutes, covered. Wrap a blanket around you and put a big towel over your head. Take the lid off the infusion and gently inhale the steam for about ten minutes. Splash your face with cool water. 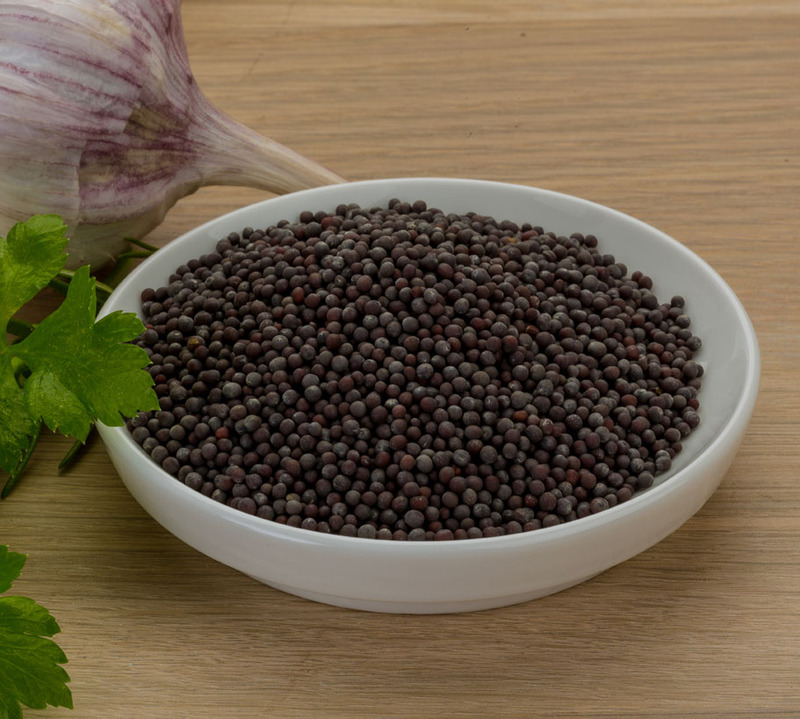 Mix 5 teaspoons of crushed black mustard seeds with a large portion of hot oatmeal (porridge). Wrap the mixture in a tea towel and place this on the chest for 20 minutes; make sure it is not so hot as to cause discomfort, and check from time to time that the mustard is not causing skin irritation. So simple, so versatile, so economical: a pack of pasta is the perfect foundation for many meat-free meals. In this chapter, it’s at the heart of the Linguine Carbonara with Crispy Capers, Tagliatelle with Asparagus and Wild Garlic Pesto, and Creamy Porcini and Sea Beet Orzo. Let’s not forget noodles, either, which are equally diverse. For starters, there’s Wonton Ravioli with Rocket, Pho with Kale Chips, and Burmese Noodle, Tofu and Winter Greens Curry. All completely different dishes, yet with a common theme. The taste of this pasta dish belies the fact that it’s made from humble, simple ingredients. Even the aubergine skin does not go to waste, as it’s cut into thin strips, fried until crisp and piled on top of the pasta just before serving. Ingredients: ; 2 aubergines; 4 tbsp extra virgin olive oil, plus extra for drizzling; 400g/14oz dried spaghetti; 1 onion, finely chopped; 1 garlic clove, finely chopped; 4 tomatoes, deseeded and chopped; 1 tbsp tomato pur.e; 125g/4.oz/1 cup drained tinned chickpeas or cooked dried chickpeas (see pages 8–9); 1 handful of mint leaves; sea salt and freshly ground black pepper; 40g/1.oz mature vegetarian sheep’s cheese, grated, to serve. Using a vegetable peeler, remove the skin from the aubergines in strips. Cut the skin into thin strips and dice the flesh. Heat the oil in a large, deep frying pan over a medium heat and fry the aubergine skin for 2–3 minutes until crisp, then remove using a slotted spoon and drain on kitchen paper. 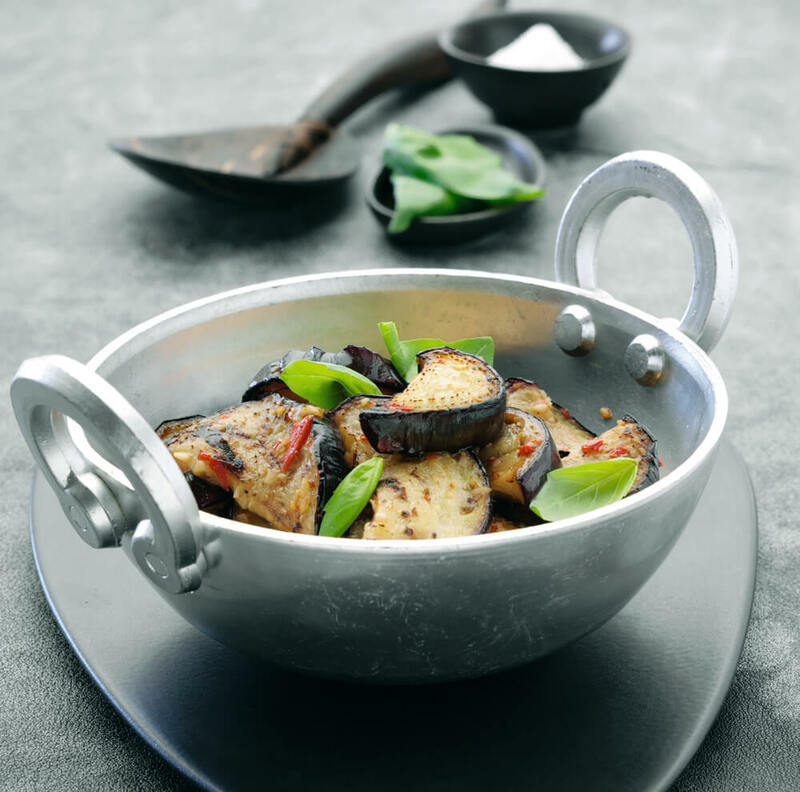 Add the diced aubergine to the pan and fry for 8 minutes, or until light golden all over. Meanwhile, bring a large pan of salted water to the boil and cook the spaghetti following the pack instructions. Drain, reserving 6 tablespoons of the cooking water. Add the onion to the aubergine and cook for another 8 minutes until softened, then add the garlic, tomatoes, tomato purée and chickpeas. Cook over a medium-low heat for 5 minutes, stirring often and adding enough of the reserved pasta cooking water to loosen the mixture and make a sauce. Just before serving, stir in the mint and season with salt and pepper. Spoon the sauce on top of the pasta, drizzle with a little extra oil and serve with the fried aubergine skin and cheese piled on top. Roasting intensifies the flavour of nuts (and seeds) as well as giving them more of a crunch. You get a more even roasting and colour if this is done in the oven, rather than in a dry frying pan, but if you only need a small quantity, then pan-toasting makes more sense. If I happen to be using the oven, I make the most of the space and heat by toasting the nuts in bulk; they’ll keep for a week or so in an airtight container. Preheat the oven to 180ÅãC/350ÅãF/Gas 4. Line one or two baking sheets with baking parchment and put the nuts (or seeds) in an even layer on top. Place the sheet(s) in the bottom half of the oven and roast for 12–15 minutes (6–10 minutes for seeds), turning twice, until toasted and evenly browned. Keep an eye on them as they can burn easily. Alternatively, for small quantities of nuts (or seeds), put them in a dry, heavy-based frying pan in an even layer. Toast over a medium-low heat for 8–10 minutes (5–7 minutes for seeds; 2–3 minutes for small seeds such as sesame), regularly shaking the pan, until toasted and evenly browned. Leave to cool and store in an airtight container. If you regularly eat nuts and seeds it pays to buy them in large quantities. If packed in a plastic bag, transfer them after opening to an airtight container and store in a cool place – even the fridge or freezer – to keep them fresh. You don’ t have to defrost nuts and seeds before use. Since stir-fried vegetables are cooked in a matter of minutes, they retain much of their vitamin and mineral content, making it possible to prepare meat-free meals in a wok that are as packed with nutrients as they are appealing to the senses. Asian countries also offer up a treasure trove of vegetarian culinary delights, that are not only quick to prepare but are also highly colourful, rich in flavour and varied in texture, with a deliciously light, fresh quality. When stir-frying vegetables in a wok, it is important to remember a few rules. Always cut them up into uniformsized pieces, so that they cook evenly. Add denser vegetables, such as carrots and green beans, to the wok first, as they require a longer cooking time than, say, courgettes or beansprouts. And do bear in mind the shape of the vegetable. Cutting long vegetables on the diagonal makes them look more appealing than chunks or slices and creates a bigger surface area, speeding up cooking time. In addition, a wok can also be used in the same way as the Indian kadahi (a wok-shaped pan with round handles on either side) to create fabulously fragrant curries, such as the ever-popular vegetable kormas and dahls, as well as Thai green and red curries and Malaysian coconut curries. 1 Put the aubergine pieces on a plate and sprinkle generously with salt. Cover and set aside for 30 minutes. Rinse well, then pat dry with kitchen paper. 2 Heat a wok until hot. Add the oil, then toss in half of the aubergine and stir-fry it for 7 minutes until lightly browned and tender. Remove from the wok with a slotted spoon and set on one side. Add the remaining aubergine and stir-fry for 7 minutes. 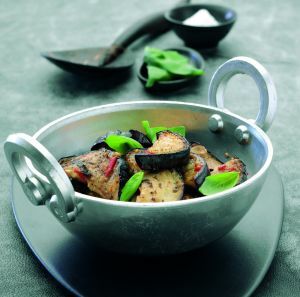 3 Return the first batch of aubergine to the wok, then toss in the garlic and chillies and stir-fry for 30 seconds. Stir in the lemon juice, season to taste with salt and pepper and serve, sprinkled with the torn basil leaves. 1 Mix together the hoisin sauce, water and cornflour in a small bowl and set on one side. 2 Heat a wok until hot. Add the sunflower oil, then toss in the garlic and ginger and stir-fry them for 30 seconds. Add the green pepper and stir-fry for another minute. 3 Add the shiitake and chestnut mushrooms and stir-fry for 2 minutes, then add the oyster and enoki mushrooms and stir-fry for another minute until tender. 4 Pour in the wine, stir until reduced, then add the hoisin sauce mixture. Cook for a minute over a medium heat or until the mushrooms are glazed, adding more water if the mixture becomes too dry. Stir in the sesame oil and serve immediately. 1 Mix together the stock, rice vinegar, sugar and soy sauce in a small bowl and set on one side. 2 Heat a wok until hot. Add the oil, then toss in the onions and stir-fry them for 2 minutes. Add the baby corn, mangetout, mushrooms, garlic and pak choi and stir-fry for another minute. 3 Stir in the stock mixture and cook for 1 minute. Toss in the beansprouts and serve immediately. 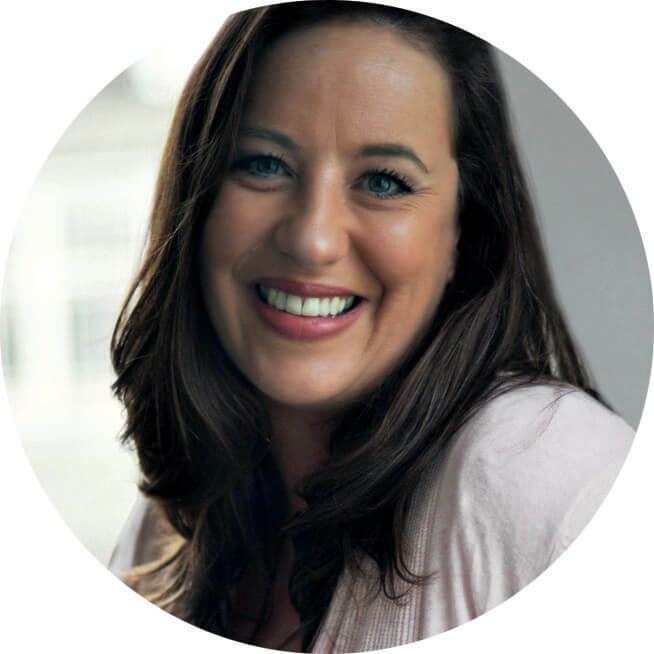 Grace Cheetham is the author of the internationally acclaimed The Best Gluten‐Free, Wheat‐Free & Dairy‐Free Recipes and Simply Gluten‐Free & Dairy‐Free. Passionate about great food and allergy‐free living, she runs a website and a blog ‐ www.glutendairyfree.co.uk that has been voted one of the best gluten‐free and allergy‐friendly blogs by Channel4.com’s 4Food and one of the 100 best food blogs by womanandhome.com. Grace judges at the Great Taste Awards and Free‐From Food Awards and runs cookery demonstrations and classes. When did your passion for gluten-free cooking begin? I grew up on free-from food. When I was young, the ingredients that were available were generally very restricted but now there’s such a wonderful array of different ingredients to choose from, and to experiment with. 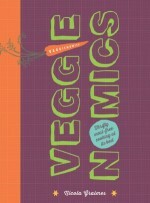 I started with fairly simple recipes but then, as more ingredients came onto the shelves, I tried more and more things. My favourite culinary moment from this book, I think, was when I made the Chocolate Profiteroles. They worked first time – and are heavenly. And you simply can’t tell that they’re gluten-free. It was the first time I’d had profiteroles for many, many years. Bliss! What was the biggest challenge in writing The Best Gluten-Free and Dairy-Free Baking Recipes? My biggest challenge, I think, was not eating all the cake! All over the summer months that I wrote the book, I invited friends and neighbours around to taste the bakes. I have a lovely memory of one sunny summer afternoon when we had five families – with all the adults sitting eating cake, cookies and cheesecake and drinking wine – and all the kids running around the garden. What was the first gluten-free dish that you mastered? Flourless Chocolate Cake, I think. And it taught me one hugely important lesson – the importance of beating or whisking cake ingredients really, really well, to get as much air as possible into the mixture. It makes all the difference to the end result. What is the best gluten-free recipe to get started? Try something that you really love. Maybe pizza or maybe chocolate brownies. Follow the recipe exactly, regardless of things like whether the mixture seems too runny compared to traditional baking. Put it in the oven, sit back and enjoy the anticipation! What is the kitchen tool that is absolutely necessary for a gluten-free baking? Probably kitchen scales or proper measuring cups. The balance of flours, in particular, is really important in gluten-free baking. Can you tell us 3 kitchen hacks for a gluten free diet? – Make up large batches of flour mixes. 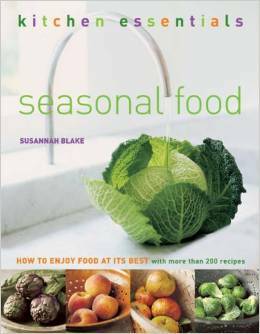 In this book, there are different flour mixes for Cakes, Biscuits, Breads and different types of Pastry. Different balances of types of flour plus grain/starch balances make a massive difference to the end result. And instead of making up the mixes every time you bake, it’s good to make up large batches and store them, ready for when you feel like baking. – Keep your store cupboard and freezer stocked, especially with things like gluten-free breadcrumbs that you can keep in the freezer and use to coat chicken or fish from frozen. – Share the dishes with your friends and family, rather than cooking/eating separate meals. It’s much more fun! I do love a coffee morning, whether it’s with a bunch of my favourite friends when we’ve a day off work at the same time, or a more formally arranged one through my kids’ school. It is a perfect chance for everyone to relax over a cuppa, catch up on the news and of course the latest gossip! 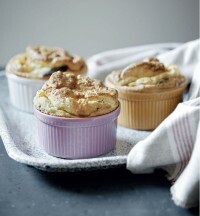 More often than not breakfast will have been skipped by most, in anticipation for some delicious goodies to tuck into. Recently I’ve noticed that we’re much more conscious of what we eat and prefer to go for a healthier option when available. A bowl of granola and fresh berries or a fruity muffin will be chosen, rather than the slightly more indulgent offerings such as croissant, pastries and chocolate muffins. Only the other day I had a text from a friend who was hosting a coffee morning at the end of the week and she couldn’t work out what food to offer. Many of her friends had specifically requested that she doesn’t tempt them with any ‘naughty’ treats. My friends usual flying visit to the bakery on her way back from the Friday morning school run was out of the picture and she needed some help. So it became a case of ‘Jo to the rescue’ and I responded with some simple healthier alternatives to keep her and her friends satisfied. I thought I’d share with you some suggestions I gave her. You may or may not plan on hosting a coffee morning anytime soon, but these recipe ideas are good to know for any occasion when you are in the mood for some healthy food. Blend up a big jug of smoothie and sit the jug in a bowl of ice to keep chilled then everyone can help themselves when they arrive. My current favourite is Blackberry and Gogi Berry Smoothie. To make this, put 50g/1¾oz gogi berries in a bowl and add just enough water to cover. Leave to soak overnight then all you have to do the next morning is thoroughly blitz in a blender along with 450g/1lb blackberries (fresh or defrosted frozen ones), 4 ripe bananas and 450ml/16floz/2 cups almond milk. If you prefer cows milk can be used though the almond milk does give this smoothie a delicious mild creamy nutty flavour, and ticks the ‘dairy-free’ box for those who need it. Makes 6 medium sized glasses. Whip up some sugar-free Pear, Pecan and Spelt Cookies. These really are one of the quickest and healthiest biscuits I’ve made and the results are amazing. Simply grate 1 ripe pear (or apple if you wish) directly into a bowl and discard the core. 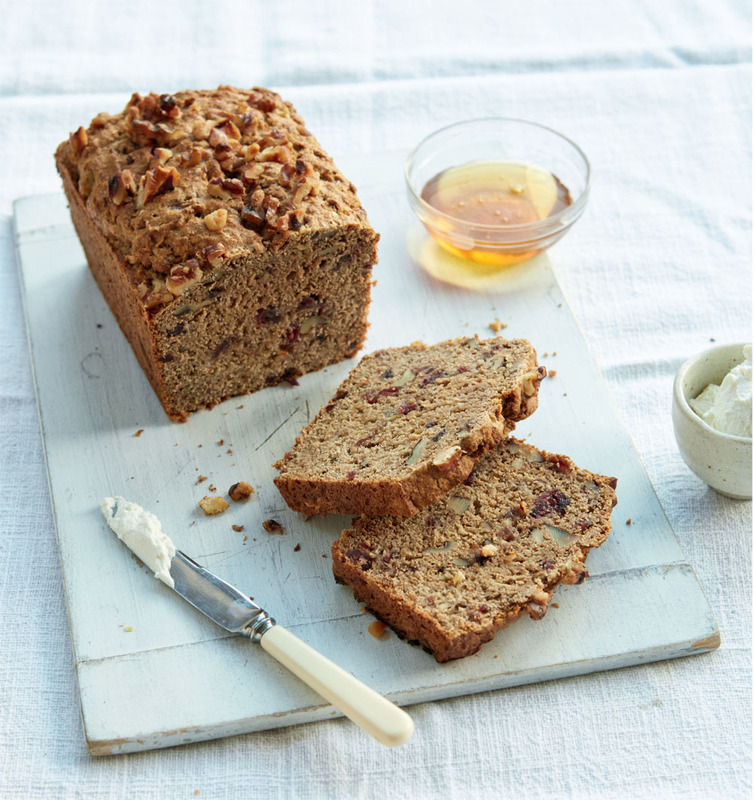 Mix in 100g/3½oz spelt flour, 50g/1¾oz oats, ½ tsp each of baking powder and ground ginger, 50g/1¾oz roughly chopped pecan nuts (walnuts are nice too), 60ml/2floz/ ¼ cup each of maple syrup and rapeseed or melted coconut oil. Spoon 12 dollops onto baking trays, flatten slightly and bake at 180C/350F/gas 4 for 18-20 minutes until golden. Apple, Cranberry and Walnut Gluten-Free Loaf. Preheat the oven to 180ºC/350ºF/gas 4 and lightly oil a 1kg/2lb 4oz loaf pan. Combine the flour, bicarbonate of soda/baking soda, cinnamon and salt in a large mixing bowl. Stir in the grated apples and chopped cranberries and walnuts, reserving a small amount of the walnuts to scatter over the top of the loaf. In a separate bowl or jug, mix together the apple juice, egg, melted butter and honey, then pour into the bowl with the flour. Gently mix together, making sure you don’t overmix so that you have a lighter loaf when cooked. Spoon the mixture into the prepared loaf pan. Scatter the reserved walnuts and the oats over the top. Bake for 40–45 minutes, or until the top is lightly golden and a skewer inserted into the middle of the loaf comes out clean. Leave to cool in the pan for 10 minutes before serving warm or turning out onto a wire/cooling rack to cool completely. All of these recipes are adapted or taken from In the mood for Healthy Food, my exciting new cookbook, which is bursting with achievable, simple, and deliciously nutritious dishes that are good for you inside and out. Released on 16th July 2015, so not too long to wait! While few decades ago was thought that coeliac disease was a rare and uncommon disease that primarily affected children, it recently became one of the most commonly occurring genetic diseases in the world. It is an astounded reality that one in 100 people have this condition and it has been estimated that 76 percent of people affected by coeliac disease have not been diagnosed yet because of the rare manifestation of symptoms. Moreover genetics play their part. In fact if a first-degree family member, such as mother, father, brother or sister carries predisposing genes, the chances of having it increase to one in 10. 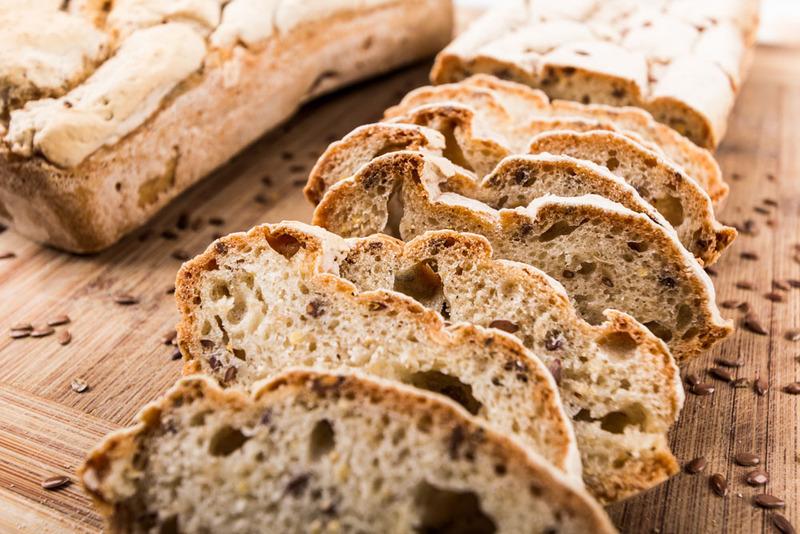 Coeliac disease isn’t an allergy or intolerance to gluten, but an autoimmune condition that leads to an adverse reaction to gluten proteins being the intestine hypersensitive to it and consequently leading to difficulty in digesting food. 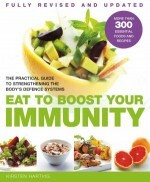 Therefore the immune system mistakenly attacks healthy tissue causing symptoms that spans from bloating, chronic fatigue, depression to weight loss and the inability to absorb important food nutrients. It is well known that to treat this condition it is simply imperative to eliminate gluten from one’s diet for life, leading to a reversal of the symptoms. Even a small amount of gluten can be damaging and it is necessary to keep utensils separate during cooking, use separate toaster and breadboards. 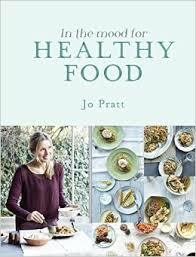 Free-from ingredients are now available in every supermarket and gluten free recipes are more accessible to everyone. A large group of people consume free-from products daily. It is claimed that the increase of this condition is related to the increment of consumption of wheat and gluten in processed foods. Certainly decreasing grains in our diet and consuming more fruits and vegetables can help to intensify the amount of energy in your body, although there is a little proof that going gluten-free is the only condition for a good health. By understanding the body needs and what to do to increase the energy level and health is a good starting point to get on a healthy diet schedule. 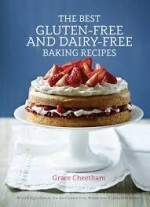 To get started to gluten-free backing we recommend The Best Gluten-Free and Dairy-Free Baking Recipes, written by gluten-free expert Greace Cheetham and recently published by Nourish Books. Put the porcini in a small bowl, cover with boiling water and leave to soak for 15 minutes. Drain and discard the liquid. Grease six 275ml/9.fl oz/generous 1 cup souffl. dishes with margarine. Melt the margarine in a heavy-based saucepan over a medium heat. Stir in the garlic and cook for about 30 seconds. Stir in the rice flour and cook for a further 2–3 minutes. Mix the cornflour with 2 tablespoons water in a bowl and pour into the pan, then add the cream and cook for about 10 minutes, stirring frequently, until the mixture has thickened. Transfer to a mixing bowl and leave to cool for 10 minutes. Preheat the oven to 200ÅãC/400ÅãF/gas 6. Beat the egg yolks and add to the cream mixture. Add the drained mushrooms and grated cheese, season with salt and pepper and mix well. In a clean bowl and using an electric mixer, whisk the egg whites until stiff peaks form. Whisk one-third of the egg whites into the cream mixture until well blended. Then, using a metal spoon, carefully fold in the remaining egg whites and mix well, being careful not to overmix and knock the air out of the mixture. Pour the mixture into the prepared souffl. dishes and bake for 20 minutes, or until golden brown on top and well risen. Serve immediately. Tender fresh asparagus, with its mild yet distinctive flavour, is one of the great joys of spring, lasting right through into early summer. The green variety is the most common, with stems that can vary in size from fine spears only a few millimetres thick to sticks as sturdy as your thumb. You will also come across white and purple-tinged asparagus. Usually eaten as an appetizer – served warm with melted butter, vinaigrette or hollandaise sauce – the cooked spears are also a wonderful addition to salads, tarts, layered terrines, risottos, pasta and even scrambled eggs. They make an attractive and delicious topping for canapés, such as bruschetta and crostini, too. tightly packed buds, and avoid any that are withered or beginning to brown. Asparagus spears can be cooked in numerous ways, but the simplest method is to cook them in simmering water until just tender. They can then be eaten with your fingers, accompanied by a dip of melted butter or hollandaise sauce. Some cooks recommend using an asparagus steamer to cook the spears. This is a tall pan with a basket inside to hold the spears upright, so that when the pan is filled with boiling water, the stalks cook in the water, while the delicate tips steam above it. However, it is just as effective to cook asparagus lying flat in a frying pan containing about 2.5cm/1in of simmering water. Cooking time will depend on the thickness of the spears. If they are thin and delicate, they will become tender in a couple of minutes, while thicker stems may need 6–8 minutes. The best way to test if asparagus is cooked is to lift a spear out with a fish slice and take a bite. It should be tender and juicy, but not soft. 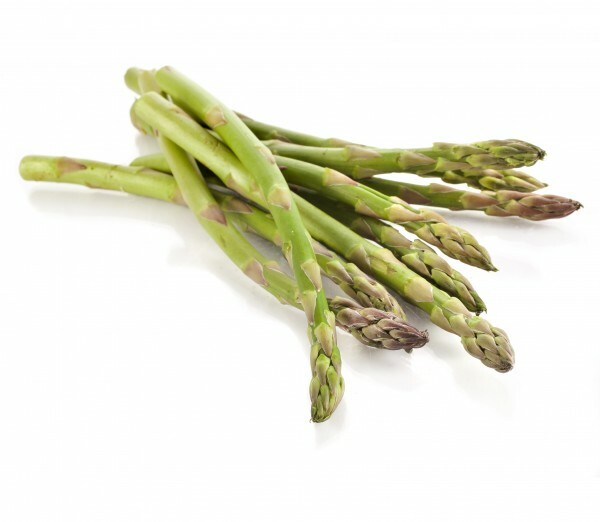 To prepare asparagus, rinse lightly under cold running water, then snap off the end of each stem – it should pop and break just where the stem ceases to be woody and becomes tender. Pour about 2.5cm/1in water into a large frying pan and bring to the boil. Arrange the asparagus in the pan in a single layer and cook over a gentle-medium heat until tender. Then carefully lift out of the pan using a fish slice or spatula and pat dry on kitchen paper before serving. 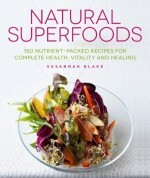 This is an extract from Natural Superfoods, written by Sasannah Blake and due to be published in July 2015. In a culture where we are bombarded with messages about food, it’s sometimes hard to remember two simple facts: Food is your friend. And food is super! So-called ‘superfoods’ are those that contain an amazing range of compounds beneficial to good health. There’s lots of general advice such as “eat more fruit and vegetables”. Natural Superfoods takes a more targeted look at how those foods with super, health-promoting properties can affect specific areas of the body and your health. There are a number of unusual ingredients and supplements that also deserve the superfood status. You can find most of these in health food stores, and some larger supermarkets. Goji berries These small Himalayan berries are packed with beta-carotene and vitamin C, as well as substantial quantities of B vitamins and vitamin E. They are reputed to protect against heart disease and cancer, as well as boost immunity and brain activity. Try them as a snack or scatter on cereal, porridge or fruit salads. Seaweed A plant-like organism of the algae family, there are numerous types of edible seaweed that are packed with nutrients. They are a good source of calcium, vitamin C, iodine and potent antioxidants. Seaweed is reputed to help thyroid function, combat some cancers and may prevent inflammation that can contribute to ailments such as arthritis, celiac disease and asthma. Enjoy nori sheets wrapped around sushi, kelp in salads or simmered in miso soup, or dried seaweed flaked over rice. Be aware that too much seaweed can also cause problems, so as with every food and nutrient – balance and moderation is the key word. 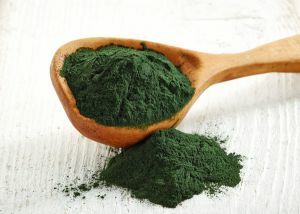 Spirulina A natural algae, spirulina is usually available in powder form from health food stores. It is an excellent source of protein and iron. Rich in chlorophyll, which is reputed to boost the immune system and help detox the blood, spirulina is also a good source of B vitamins and vitamins C, D and E. Try stirring a spoonful into smoothies. 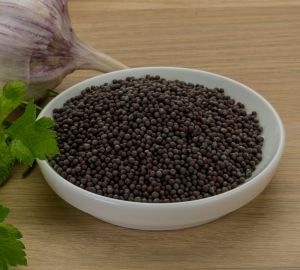 Chia seeds Native to Mexico and Guatemala these seeds are rich in omega-3 fatty acids and are also a good source of calcium, manganese and phosphorous. They are reputed to boost energy, stabilize blood sugar, aid digestion and lower cholesterol. They have very little flavour and are good sprinkled over salads. The ground form is great stirred into smoothies. Acai Native to South America, this inch-long reddish purple berry has been touted for its antioxidant properties, which are thought to help combat diseases such as cancer and heart disease. In particular they contain the phytochemicals flavonoids and anthocyanins. 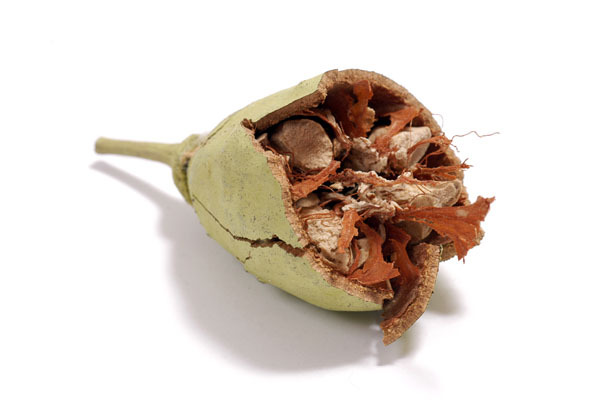 Baobab fruit Almost 50 per cent fibre for good digestion and a source of 14 vitamins and minerals, this Sub-Saharan fruit is said to be good for mood, stress, skin health and the immune system, as well as having anti-ageing properties. Wheatgrass Usually available as small shots of fresh juice from health food stores and juice bars, this intensely flavoured juice is claimed to be the ultimate detoxer. If you’re new to wheatgrass juice, sip your shot slowly as its effects can be quite potent. Hemp seeds Technically, these sunflower-sized seeds are actually a fruit. They are a good source of protein, essential fatty acids, disease-fighting antioxidants and minerals, including zinc, calcium and iron. 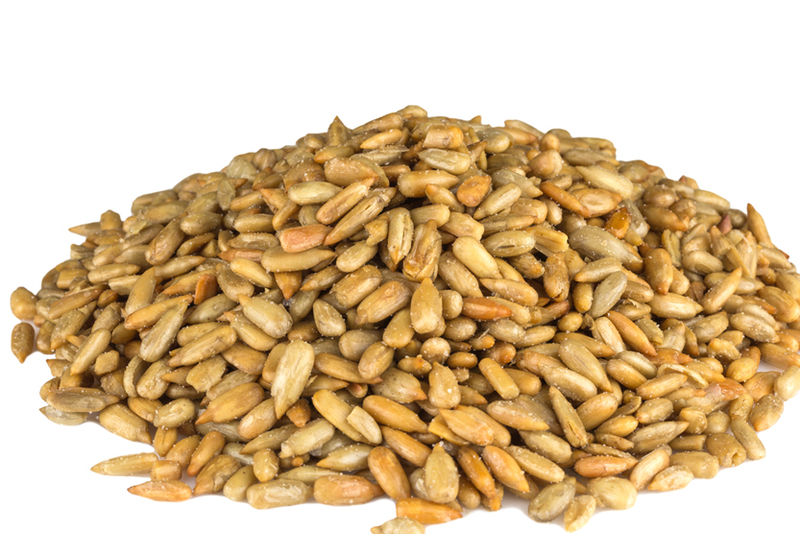 Use them just as you would other seeds – in breads, sprinkled on salads, or added to muesli. There are a number of more unusual ingredients and supplements that also deserve the superfood status. You can find most of these in health food stores, and some larger supermarkets.